The European Union's crackdown on corporate tax avoidance has landed on Apple ; its antitrust regulator is demanding that the U.S. tech giant pay Ireland up to 13 billion euros ($14.5 billion) plus interest in back taxes. The ruling is the highest profile move yet in the European battle to make international companies pay what authorities consider their fair share of EU taxes. The EU charges that Apple and other big companies struck deals with EU countries to pay unusually low tax in exchange for basing their European operations there. The U.S. government has countered that European officials are unfairly targeting American companies. The EU's investigations of Apple and other multinationals trace their origins to a 2014 leak of documents that showed how big companies shop around among EU states to get as low a corporate tax rate as possible. The revelation that has fueled popular anger in Europe, where cash-strapped governments had been raising taxes on households. Here are some questions and answers about the issue. WHY DID THE EU LAUNCH THE TAX CRACKDOWN? European countries are keen to attract big companies to their territory; sometimes too keen, with some offering ultra-low tax rates as incentives. So the EU launched a drive to combat tax avoidance by investigating the deals that allow multinationals to slash their bills in countries like Luxembourg, Ireland and the Netherlands. The EU says some 50-70 billion euros ($56-79 billion) are lost every year due to tax avoidance. Also, some multinationals shift their earnings made in EU countries to the one low-tax country they are based in. That helps them lower their overall tax bill. In January, the EU Commission, which polices EU rules, unveiled new plans to tackle the problem. They include closing tax loopholes and improving the way tax information is shared across the 28-nation EU. DON'T EU COUNTRIES MAKE THEIR OWN TAX LAWS? They do. The European Commission says it's not interfering with members' rights to set their corporate tax rates, but that it should help protect countries from unfair tax competition. When one country's tax policy hurts a neighbor's revenues, that country should be able to protect its tax base. The EU rules also try to ensure that a country can effectively tax profits generated in its territory. A big problem is that EU countries share little information about their corporate tax rulings. This makes it difficult for tax authorities to work out where a company's real business takes place and apply the rules fairly. The Commission says many multinationals take advantage by shifting their profits from one country to another. This deprives EU governments of tax revenues. WHY DOES THE U.S. GOVERNMENT CARE? The U.S. Treasury Department released a report last week claiming that American companies were being unfairly targeted in the probe and that doing so could end up costing American taxpayers. That's because businesses get U.S. tax credits for their foreign tax payments. Apple and other U.S. firms leave much of their foreign earnings overseas to avoid higher U.S. tax rates. Treasury officials say they're working to get companies to repatriate those funds. ARE U.S. MULTINATIONALS REALLY HIT HARDEST? The highest-profile multinationals to be investigated by the EU — Apple, Amazon and Starbucks — are American. But the EU Commission says there is no bias against U.S. companies. It notes that Italian automaker Fiat was targeted last year, and that 35 mostly European firms were impacted this year by its ruling against a Belgian tax scheme. The Commission says all companies that generate and record profits in an EU country should pay taxes in line with national tax laws, no matter whether they're based in Europe or abroad. 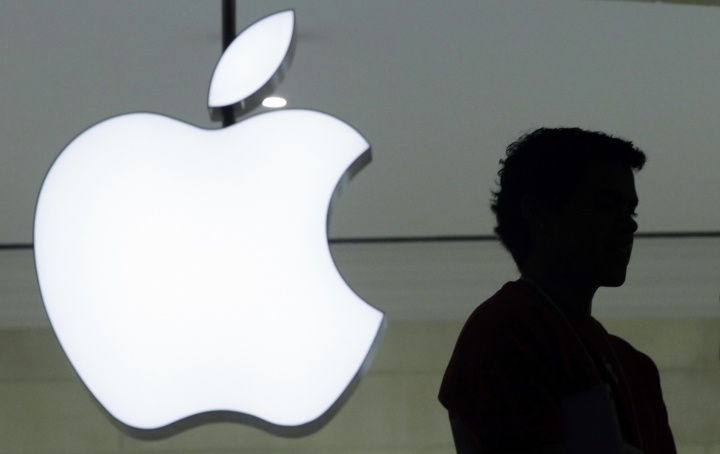 CAN APPLE AFFORD THE TAX JUDGMENT? Easily, given that the company's cash hoard exceeds $200 billion. At the end of June , Apple reported holding $231.5 billion in cash, cash equivalents and marketable securities. The company held $214.9 billion of that amount in foreign subsidiaries. Overall, Apple paid an effective tax rate of 25.5 percent on pretax income of $10.5 billion in its April-June quarter, for a total tax payment of $2.7 billion. That left Apple with net income of $7.8 billion in the quarter.